Dollar Tree Shoppers, you're never going to believe what has been found in the swimming section. Yes, you are seeing the picture correct! 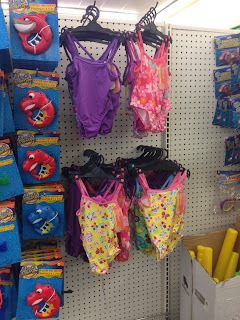 Right now, Dollar Tree is known to have $1 Kids Swimming Suits. Stop by your local store and let us know if you're lucky enough to score this deal!